70 million worldwide users. 2.5 billion monthly page views. 5 million daily article pins. Realizing how prominent and powerful Pinterest has become in the online world, we were interested in finding out who is actually on Pinterest and if it’s an appropriate platform for businesses to use. But before we get all technical, there are a couple words you’ll want to be familiar with. For those of you who aren’t caught up with the Pinterest lingo, “boards” are collections of ideas related to certain projects or interests that people can create and share. “Pins” are the individual pieces of content you can upload, save, share and sort, usually in the form of images or videos. Pinterest is basically like a compilation of bulletin boards you can browse through and pin things on, only virtual. Pinterest is the most female dominated social media network today, maintaining the biggest gap between male and female users. As of June 2, 2014, 85% of total Pinterest users were female. Within just the US, about 80% of Pinterest users are female and 20% are male. Contrary to popular belief, many social networks, including Facebook, Twitter and Pinterest, aren’t primarily dominated by college students and young adults. 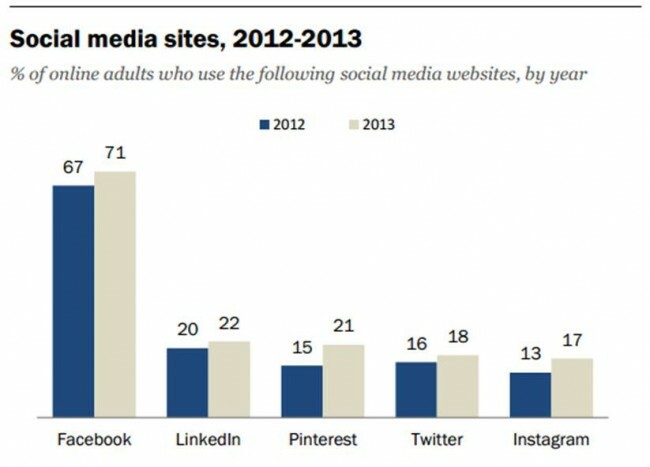 Most social media networks are trending towards an increased percentage of adult users. 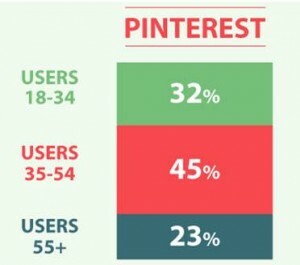 45% of Pinterest users are between the ages of 35 and 54 while only 32% are between 18 and 34 years old. The smallest segment of users is 55 or older, yet still accounting for almost a quarter of Pinterest users. What does this data mean for you as a business? If females between the ages of 18 and 50 are a primary part of your target audience, further exploring how Pinterest could benefit your business is definitely something to consider. Although this is quite a large age range, expanding into Pinterest as part of your online marketing mix can potentially help you reach more customers in your target audience, especially when compared to the smaller percentage of females present on Facebook or Twitter. Not only had Pinterest grown in popularity from 2012 to 2013, increasing from 15% of online adults using this platform to 21%, but it’s also experienced increased average visit times. The average visit duration as of April 2012 was 14.2 minutes per visit. Reports for 2014 are sharing that Pinterest users stay on the site for an average of 15.8 minutes. So what are Pinterest users doing while on the site? Pinning and sharing! Even though women constitute about 80% of Pinterest users, they are responsible for 94% of all Pinterest activity, meaning females definitely dominate the site. In fact, 92% of the Pins made on the site are by women, with each female averaging about 158 Pins. Pinterest activity peaks in the evening while Facebook and Twitter activity peak during the morning hours. Between the hours of 8pm and 10pm, Pinterest is poppin’! So even though a majority of Pinterest users are young women browsing through boards at 9pm and pinning recipes to cook for dinner tomorrow night, Pinterest can be a great tool for businesses too! We know that moms love Pinterest, but knowing that 50% of moms in the US who use Pinterest said they would follow a brand if they were offered rewards may help convince you that creating a business account on Pinterest could be rewarding, not to mention give you an idea of the direction you can take with your Pinterest activities. Moms also share content on Pinterest more than twice as often as the average user, so if this type of brand promotion by consumers sounds good for your business, consider making Pinterest part of your marketing mix. Depending on which categories your business can share information about, Pinterest can be a very beneficial tool for gaining brand awareness and customers. Any information you offer that helps people plan for special events like vacations or weddings, organize things they want to buy, or discover activities they want to do is great information to share simply because it’s what people are looking for. Aside from being just another platform to share your content on, Pinterest offers businesses in particular two useful benefits that the average Pinterest user wouldn’t necessarily be interested in. The first useful benefit is access to Pinterest analytics, allowing you to track activity, see how Pins are performing and narrow down what content people are most interested in. The second thing Pinterest offers businesses is the ability to promote Pins. By paying for pin promotion, your content can reach more people and funnel them back to your business website. If creating a Pinterest account is something your business is interested in, be sure to join as a business so that you’ll have access to the analytics and pin promotion tools. 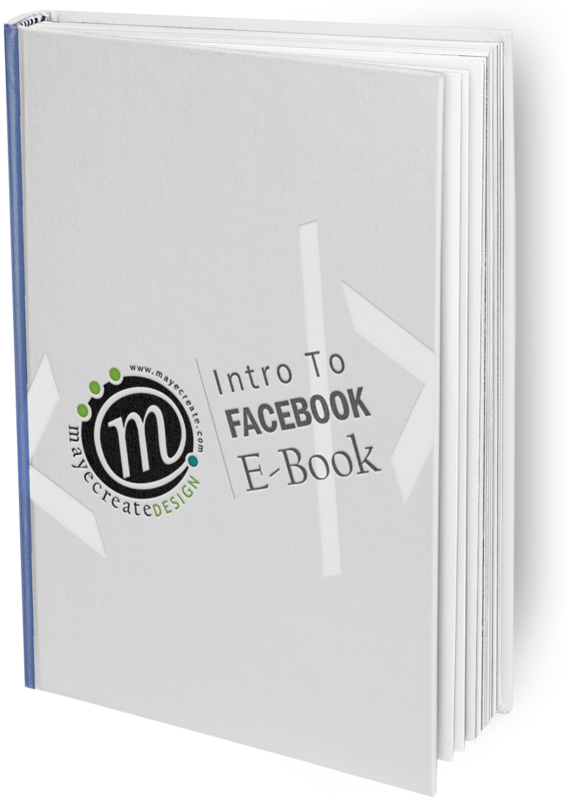 Discover what Facebook can do for your online marketing. What makes a good paving website?